If you were trying to find a last-minute New Year's Eve romance while also remaining anonymous, OkCupid has some bad news. 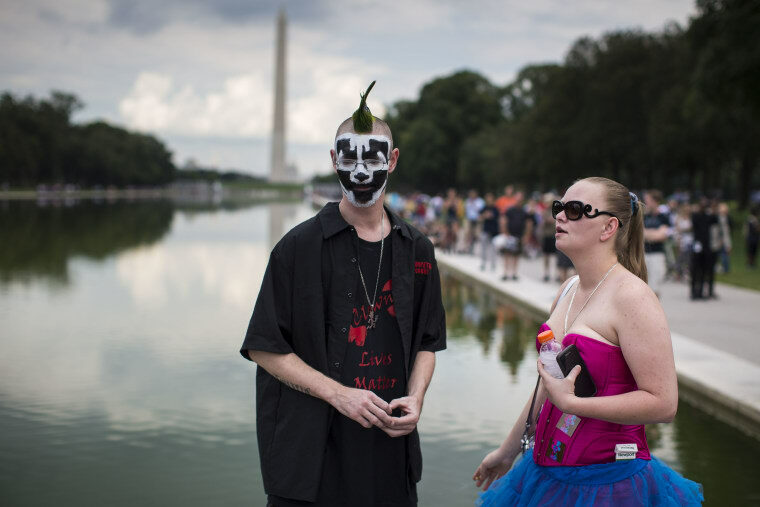 The dating site-slash-app dinosaur announced yesterday that they will no longer allow usernames, while taking some time to mourn the treasure trove of mysterious singles the site has encountered, like the 13,642 people who used some form of an Insane Clown Posse reference to identify themselves on the quest for love. "We understand that, for some, usernames are a great way to show off who you are," the company said, presumably speaking to Juggalos above all. "But for most, they are a pain to come up with and a pain to remember (or, in cases like unicorn__jizz, difficult to forget). And we hope that you can instead use your profile to give people an insight into your interests." My OkCupid username was way2hard, and I used it to check in with a famed personality quiz the company offered every so often, in case I was missing something important about my personality. Despite no photo, no bio, and zero activity, I still regularly got notifications about people wanting to date way2hard until I closed the account in 2015. RIP usernames.